It is no secret that Northamptonshire is home to some of the finest men’s footwear to be found across the globe. The county’s rich and illustrious heritage in crafting stylish, traditional men’s shoes has those from London to Tokyo lining up to own a pair. Refined over the years and built to last, there is nothing that can beat a good pair of Northampton made shoes. Fortunately, being residents of Northampton provides gents and gent-ettes alike with a wonderful and rare opportunity to purchase a pair of high quality footwear at significantly reduced prices. We are, of course, talking about shoe factory shops. With some of the world’s most renowned brands and cobblers all based in Northampton, we have five incredible shoe factory shops and brands that every style-conscious gent should make a point of visiting. Arguably one of Northampton’s most famous shoe manufacturers, Church’s first began over 140 years ago when Thomas Church opened a small family factory in the town. The company rapidly grew thanks to its innovative ‘Adaptable’ shoe, which won a Gold Medal at the Great Exhibition in Hyde Park in 1881; securing its place in Victorian history. Prada bought Church’s back in 1999, although manufacturing still takes place in Northampton. Whilst it is safe to say each pair of Church’s are outstanding, it is their iconic Shanghai design that deserves special mention. Originally launched in 1929 for Englishmen living in the Far East, the company rediscovered the original model in 2009 and reissued the vintage style. Impressively, each pair is made by one craftsman and goes through more than 500 construction-stages. Church’s has a number of stores spanning over 15 countries, however the factory store is still located in the heart of Northampton. It is certainly worth paying a visit. From a humble workshop at the bottom of a garden in Earls Barton 130 years ago to one of the most respected shoemakers in England, Barker shoes are one of Northamptonshire’s oldest cobblers. Still based in Earls Barton in a factory built from local brick and stone, Barker shoes are well known for combining the traditional Goodyear Welted construction with modern and sleek designs. A perfect example of this being the beautiful McClean collection, combining the classic full brogue with intricate wingtip and toe punched detail. Barker shoes have stores in London and Moscow but why would you travel all that way when you could make the short trip to their Earls Barton factory shop. 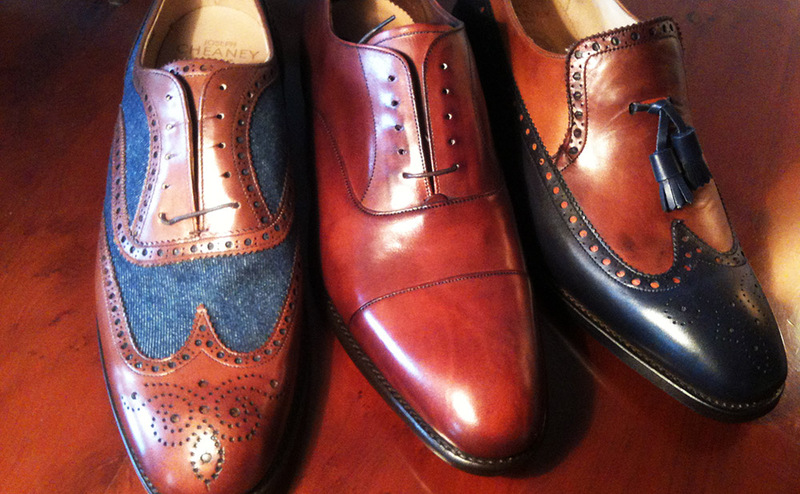 J. Cheaney & Sons were one of the first shoe manufacturers to bring the entire shoe production process under one roof – before that, a different shop would handle a different aspect of each shoe. The company moved into its purpose-built Desborough factory back in 1896 and still operates out of the same factory to this day. Boasting one of the most impressive shoemaking heritages and still producing arguably some of the finest Goodyear welted shoes in the world, the company was bought by Jonathan and William Church (the gents from Church’s shoes) in 2009. Their beautiful, handmade City collection is one of the best valued collections on the market, offering sleek and contemporary style with a lower price point but same quality as many other shoemakers. Not in the mood for a trip to London or Cambridge? The factory shop is found at Cheaney’s original factory in Desborough. Founded in Northampton by James Crockett and Charles Jones over 130 years ago, Crockett & Jones remains very much a family business – there have been five generations of Jones’ involved with the company since its inception. The brand has become synonymous across Europe, the USA and Asia with the notion of high quality, with close to 70% of Crockett & Jones’ production being exported to stylish gents all over the world. In 1987, Crockett & Jones bought their factory on Northampton’s Perry Street, which the shoemaker still occupies today. 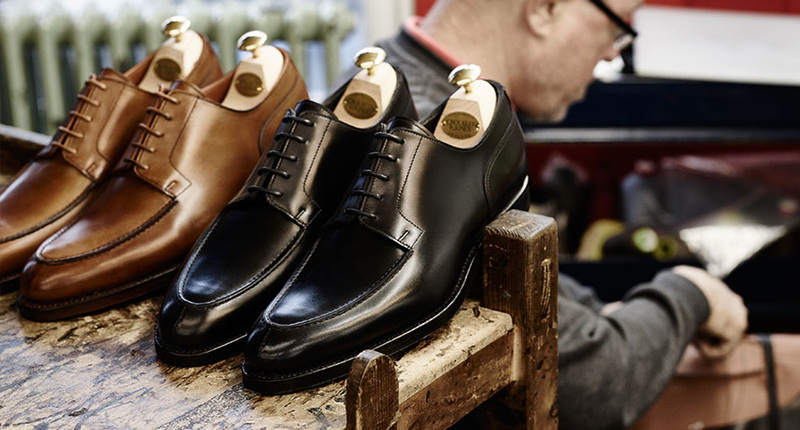 Shoes are handmade using the time-honoured Goodyear welted construction, with each pair undergoing 200 individual operations and taking about 8 weeks to craft. 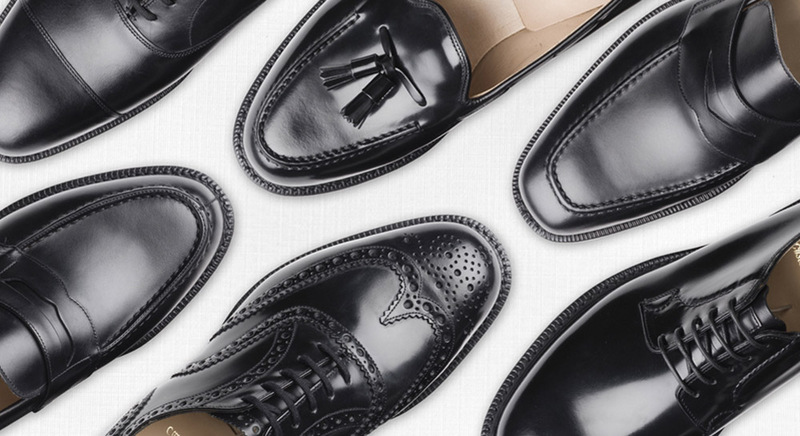 With their strong international reputation, Crockett & Jones have stores in London, Paris, Brussels and New York. For the local gent however, simply pop down to Perry Street on a Friday or Saturday to see one of the most impressive factory shops in the town. Gent tip: Just around the corner you can also find the spectacular Magee Street Bakery; shoes and croissants really do go hand in hand. 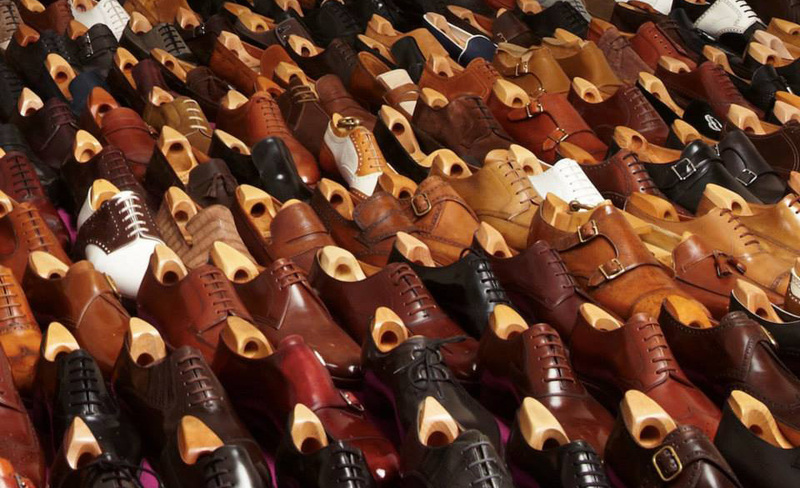 When it comes to men’s shoes, few can boast such an impressive array of famous clientele as John Lobb. Having adorned the feet of Princes and Kings to Frank Sinatra and Dean Martin, John Lobb bootmaker is the oldest manufacturer on this list and is also the only manufacturer who did not start in Northampton. John Lobb came from Cornwall and founded the company in 1866 when he moved to London. It was not until 1994 that company opened its Northampton workshop, taking advantage of the expertise that resides in the town. Whilst the company in recent years has focused on ready to wear shoes and boots, it still maintains one of the world’s finest bespoke service from its Paris workshop. Not only do they still produce their traditional, iconic footwear, but John Lobb also collaborate with some of the world’s most famous and talented designers of today, producing high quality shoes with modern and contemporary twists. Do not be surprised to see some prices go into the thousands for some of their collections.